I'm hoping you can help me...we are working on transitioning to a new LMS (SuccessFactors) and with that, embracing some mobile course content. I am testing on an iPad gen 2. I just tried to publish my first html5 module and it worked beautifully, except no sound plays when I launch the course through the SuccessFactors mobile app. I have sound when I launch the desktop version (regular flash version as we have IE8 as standard and html5 won't work). I don't have the ability to go through Safari on the iPad since I need it to interface with the LMS. Just in case though, I turned off the private browsing refrenced in another thread. I'm wondering if there is a setting somewhere or if I have done something in the building of the module without knowing it that is blocking the sound. Has anyone experienced this or do you have any ideas on how I can fix this? Welcome to E-Learning Heroes, Elizabeth! How do you have the audio set up in the course? Is it set to play automatically? If so, that may be the problem. 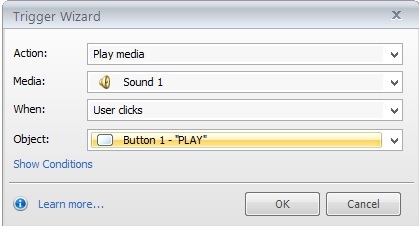 I recorded the audio files through the articulate storyline interface. If you have any trouble with this, I'd be happy to take a look and see if I can get this working for you. Can you share the .STORY file here? duh...did I mention I'm new to Articulate?? I'll try that. If you have any other trouble, just let us know. We are using an android tablet and having trouble with the sound playing. Can you please offer some suggestions on what could be happening? We don't officially support Android platforms, although some users have reported using it with success. You may want to review the general viewing requirements for Storyline content and use one of those browsers.